This fine red-sandstone mansion was built in 1760 for the Whitefoord family, possibly to designs by William Adam (1689 - 1748). The mansion is probably built on the site originally containing a tower-house. The building was extended over time with the frontage being added in 1886 by the architect H.M. Wardrop for Sir Claud Alexander. When Sir Claud Alexander died in 1899, the house was let until the government acquired the estate in 1939 for use as a hospital. Pavilion-style buildings were hurriedly constructed around the house as the Second World War began to escalate. 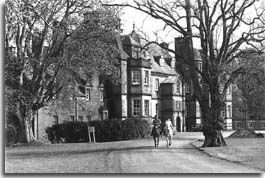 The old house was mainly used for staff accommodation and administration. The operation of the hospital transferred to a local hospital board on the creation of the National Health Service in 1948, to serve solely as a civilian hospital. 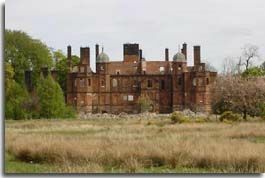 The closure of Ballochmyle Hospital in 2000, saw the surrounding buildings demolished, and the once magnificent house fall into disrepair. Scaffolding for the house began going up in November 2006, the house was completed in 2012.